If Rafizi Ramli is found guilty, he could be liable to a fine of up to RM3 million and a three-year imprisonment, and he could also lose his MP status. “This application to challenge BAFIA is actually an attempt by Rafizi to delay the trial of the charges against him and Public Bank Berhad clerk Johari Mohamad and thus by extension, delaying and denying NFCorp and my entitlement to justice and punishment on the very people who had wronged NFCorp and me,” said Dr Mohamad Salleh, Chairman of NFCorp. “I have consulted my lawyers and have been advised that it is pointless for Rafizi to challenge the constitutionality of BAFIA as the High Court, the Court of Appeal and the Federal Court had unanimously opined and ruled that the charges against Rafizi under BAFIA are not mala fide, oppressive or politically motivated. Hence Rafizi’s application is certainly redundant and res-judicata as the Courts had already decided on the said issue before. “I am sure that he is certainly afraid to face the charges against him in view that he clearly lied, distorted and misrepresented confidential banking information by exposing such and breaking banking laws. And he knows that he is certainly guilty of such and he is not a whistleblower. 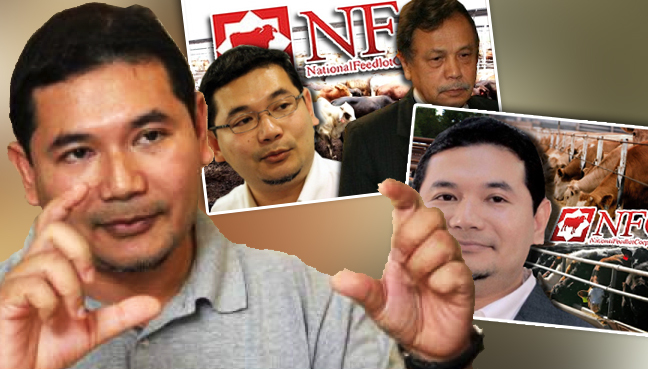 Rafizi together with Public Bank Berhad’s ex employee Johari were arrested and charged at the Shah Alam Sessions Court on 1 August 2012 for violating Section 97 (1) of the Banking and Financial Institutions Act, 1989 (BAFIA). The case is now awaiting commencement of trial. Nurul reckless and irresponsible. NFCorp sues.